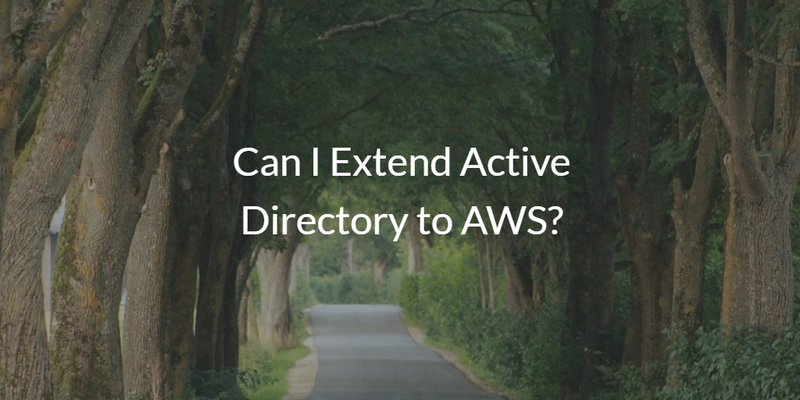 Can I Extend Active Directory® to AWS? Home » Blog » Can I Extend Active Directory® to AWS? The idea has a lot of merit. You already have an identity for an individual internally. Generally that identity is stored within Microsoft Active Directory internally. However, Active Directory was built in an era where infrastructure and applications remained on-prem, and users primarily used Windows systems. AD worked great in this kind of IT ecosystem. But the modern office has moved on from on-prem and Windows endpoints. Today, IT struggles to connect AD with modern IT resources like cloud infrastructure, web applications, and non-Windows devices. With over 1 million businesses shifting their network infrastructure to AWS, it is a real problem figuring out how to connect on-prem identities stored within AD to AWS (Ars Technica). Manually managing access to AWS cloud servers is challenging with any DevOps organization of any reasonable size. There are too many issues that can occur such as not provisioning the right access or accidentally deleting access. Creating another AD instance in the cloud ends up being a significant amount of extra work with more moving parts, and not to mention the cost of another AD implementation. Extending AD to the cloud via a cloud identity bridge keeps the on-prem Active Directory instance as the authoritative identity provider, but through AD Bridge it federates those identities to AWS cloud servers as required. With AD Bridge, there is no extra AD server, hardware to implement, or additional software to run and manage. 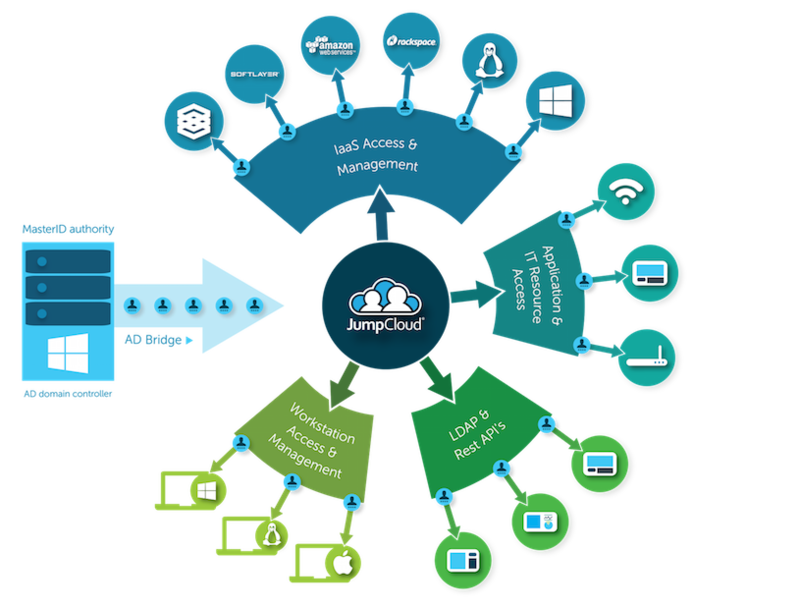 You simply leverage the cloud identity bridge as a SaaS-based platform. You can connect your AD credentials to AWS, Linux and Windows cloud servers, on-prem Mac laptops, G Suite, or even Google Cloud Platform. If you’d like to see how AD Bridge could centralize access to modern IT resources in your AD environment, request a demonstration or drop us a note for more information. We also invite you to start testing our cloud identity bridge by signing up for a free account. Your first ten users are free forever.